"RACES are such strongly marked varieties, capable of coming true to seed. The different sorts of Wheat, Maize, Peas, Radishes, et., are familiar examples. By selecting those individuals of a species which have developed or inherited any desirable peculiarity, keeping them from mingling with their less promising brethren, and selecting again the most promising plants raised from their seeds, the cultivator may in a few generations render almost any variety transmissible by seed, so long as it is cared for and kept apart. In fact, this is the way the cultivated domesticated races, so useful to man, have been fixed and preserved. Races, in fact, can hardly, if at all, be said to exist independently of man. But man does not produce them. Such peculiarities --- often surprising enough --- now and then originate, we know not how (the plant sports, as the gardeners say; they are only preserved, propagated, and generally further developed by the cultivator's skillful care" (176). This idea of botanical races needing to be maintained and that these varieties are highly unstable despite their being so "strongly marked." Their distinctions have to be cultivated and "preserved, propagated, and generally further developed." Gray evidences some of the tensions of the years immediately following Darwin's demolishing of the polygenic theory in his answer to the Species Question. The anxiety of the cultivator constantly preserving and propagating, maintaining the distance between those with desirable peculiarities and the "less promising" (176). In the chapter on Classification and Nomenclature, Gray sets out the stakes in understanding the botanical world. There is a difference between classification and nomenclature. They can in many ways stand apart from each other and address fundamentally different approaches to understanding the natural world. This separation had become not only burdensome, but now in the era after Darwin, could no longer be theoretically maintained if indeed the separation between them was ever stable. "The vast multiplicity of plants and the various degrees of their relationship imperatively require order and system, not only as to names for designating the kinds of plants, but also as to terms for defining their differences" (175). At the same time that one must pay close attention to the relations between plants, the naturalist/botanist must also acknowledge that "[s]ome system of nomenclature, or naming, is necessary for fixing and expressing botanical knowledge so as to make it available" (175). Language makes botanical knowledge available generally and not solely to the person who knows it through experience and observation alone. It fixes it and allows it to be expressed. But to be expressed, not only is language necessary, but so too is the ability to determine the differences between plants that are expressed in their names. What is needed are not names but "terms for defining their differences. Nomenclature is concerned with the names of plants. Terminology supplies names of organs or parts, and terms to designate their differences" which disclose their "kinds and relationships" (175). 521. Individuals. Mineral things occur in masses, which are divisible into smaller and smaller ones without alteration of properties. But organic things (vegetables and animals) exist as individual beings. Each owes its existence to a parent, and produces similar individuals in its turn." 522. Species. All descendants from the same stock therefore compose one species. And it was from our observing that the several sorts of plants or animals steady reproduce themselves, or in other words, keep up a succession of similar individuals, that the idea of species originated.... observation having familiarized us with the general fact that individuals proceeding from the same stock are essentially alike, we infer from their close resemblance that these similar individuals belong to the same species. That is we infer it when the individuals are as much like each other as those are which we know, or confidently suppose, to have sprung from the same stock" (175). Notice how different the explanation would be now when we do not have to depend on the observation of surface characteristics, which has often, as in the case of polygenism, led to disastrous errors and the need to repress those knowledges. But Gray knew that of course "[n]o two individuals are exactly alike; a tendency to variation pervades all living things. In cultivation, where variations are looked after and cared for, very striking differences come to light, and if in wild nature they are less common or less conspicuous, it is partly because they are uncared for" (175). 524. Varieties....The question often arises, and it is often hard to answer, whether the differences in a particular case is that of variety, or is specific [i.e., it a variety or a species]. 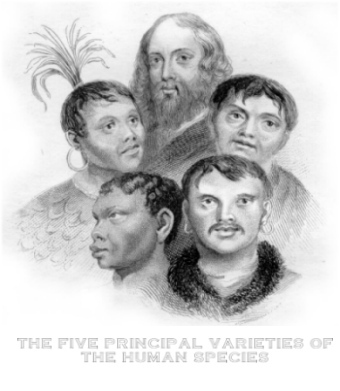 If the former, it may be commonly be proved by finding such intermediate degrees of difference in various individuals as to show that no clear distinction can be drawn between them; or else by observing the variety to vary back again in some of its offspring.... For the fundamental law in organic nature is that offspring shall be like parent" (175-176). "Bud Varieties are those which spring from buds instead of seed. They are uncommon to any marked extent. They are sometimes called Sports, but this name is equally applied to variations among seedlings. Cross-breeds, strictly so-called, are variations which come from cross-fertilizing one variety of a species with another. Hybrids are the varieties, if they may be called, which come from the crossing of species. Only nearly related species can be hybridized; and the resulting progeny is usually self-sterile, but not always. Hybrid plants, however, may often be fertilized and made prolific by the pollen of one or the other parent. This produces another kind of cross-breeds" (176). 525. Species are the units in classification. Varieties, although of utmost importance in cultivation and of considerable consequence in the flora of any country, are of less botanical significance. For they are apt to be indefinite and to shade off one form into another. But species, the botanist expects to be distinct. Indeed, the practical difference to the botanist between species and varieties is the definite limitation of the one and the indefiniteness of the other. The botanist determination is partly a matter of observation partly of judgment. In an enlarged view, varieties may be incipient species; and nearly related species probably came from a common stock in earlier times (176-177). 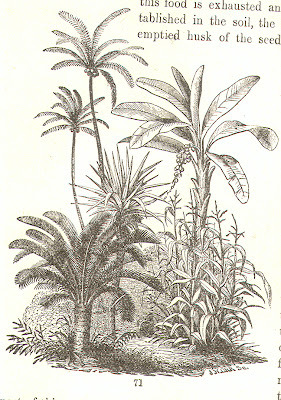 But there is one more difference, and it is that the botanical world can, just as the animal, be divided into Order, Cass, Genus, Species, Variety, it can not be arranged in the same way, neither in terms of value (except as an economic value of a cultivated species, which is not intrinsic to the plant, but to the cultivator), nor in terms of a hierarchy or levels of increasing superiority. Rather than hierarchies in a ladder of being, the botanical world is for Gray self-organized and grouped into "clusters or constellations" of species (177). As we survey them, they do not form a single and connected chain, stretching from the lowest to the highest organized species, although there obviously are lower and higher grades. But the species throughout group themselves, as it were, into clusters or constellations, and these into still more comprehensive clusters, and so on, with gaps between. It is this clustering which is the ground of the recognition of kinds of species, that is, of groups of species of successive grades or degree of generality; such as that of similar species into Genera, or genera into Families or Orders, or orders into Classes. 552. So, although the classes, orders, genera, etc. are natural, or as natural as the systematist can make them, their grouping or order of arrangement in a book, must necessarily be in great measure artificial. Indeed, it is quite impossible to arrange the orders, or even the few classes, in a single series, and yet have each group stand next to its nearest relatives on both sides. 553. 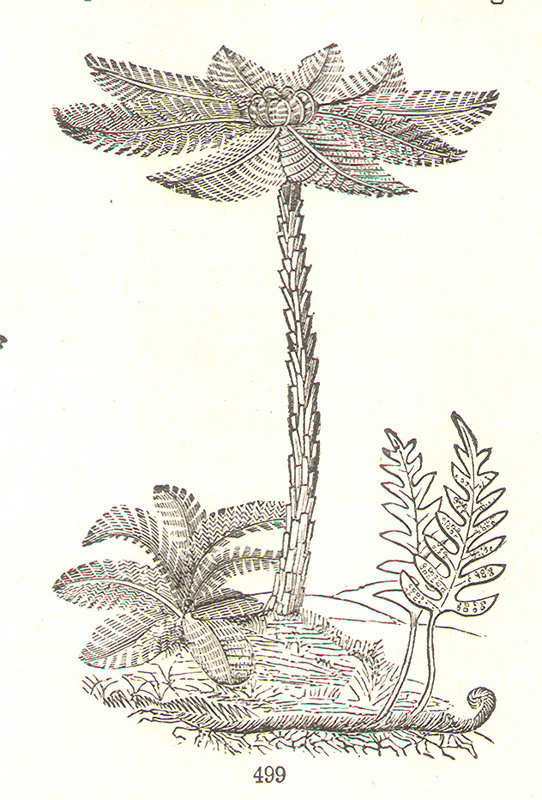 Especially it should be understood that, although phanerogamous plants are of a higher grade than cryptogamous, and and angiospermous or ordinary phanerogamous higher than the gymnospermous, yet there is no culmination in the vegetable kingdom, nor any highest or lowest order of phanerogamous plants (182-183). 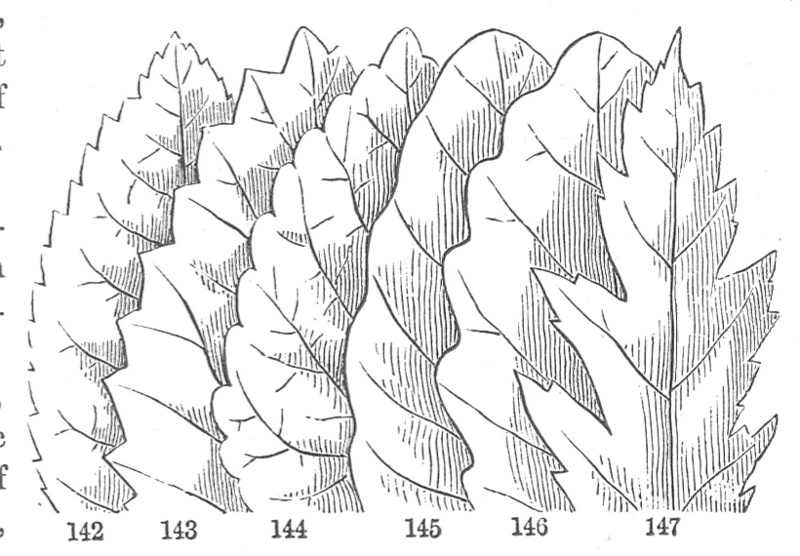 Like Charles Lyell in his Notebooks on the Species Question (1853-1861), Gray wrestled with the problem of reconciling Darwinian science with design or "the plan according to which the vegetable creation was called into being, with all its grades and diversities among the species, as well of past as of the present time" (182). The "One Mind" that he invokes comes in as much as a preserver of a natural order as it does in a religious sense. 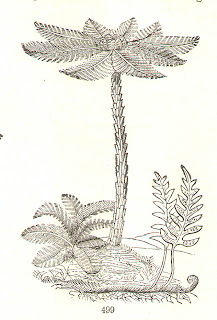 There are, at nearly the lowest computation, as many as one hundred thousand species of phanerogamous plants, and the cryptogamous species are thought to be still more numerous. They are all connected by resemblances or relationships, realizations in nature, as we may affirm, of the conception of One Mind (177). But at its core, the increasing "indefiniteness" as one moves from Genus to Species and to Varieties, gives little support for an conception of a plan of One Mind or a universal Cultivator who orders the world, though, as Sextus Empiricus pointed out, some attempt to explain the indefiniteness of the world by arguing that the Gods or God allow for error and flux so that we might know that there is a plan, because otherwise we would not be able to see the patterns if there was not something against which they might stand out. Sextus Empiricus does a fine job of demolishing this argument, of course. After a section pointing out the need for a systematic process of assigning names, though one that preserves some of the traditional nomenclature, Gray goes into the question of systemic classification. The discussion is of interest for its explanation of the Natural System of classification as opposed to the Artificial System of Linneaus that was based more on names than terms. The distinction between the Artificial System of first Tournefort "founded mainly on the leaves of the flower, the calyx and corolla" and later Linnaeus' system "founded on the stamens and pistils.... Useful as this system was down to a time within the memory of still surviving botanists, it is now completely obsolete" (182). Now, Gray writes, the Natural System had triumph, though it still could not completely express the plan that he still felt was there underneath the variety of nature. There are many natural systems, but only one real Natural System of that "one Mind" he and others desperately sought to preserve in the face of the overwhelming evidence of their own studies. 550. Natural System. A genuine system of botany consists of the orders or families duly arranged under their classes, and having the tribes, the genera, and the species arranged in them according to their relationships. 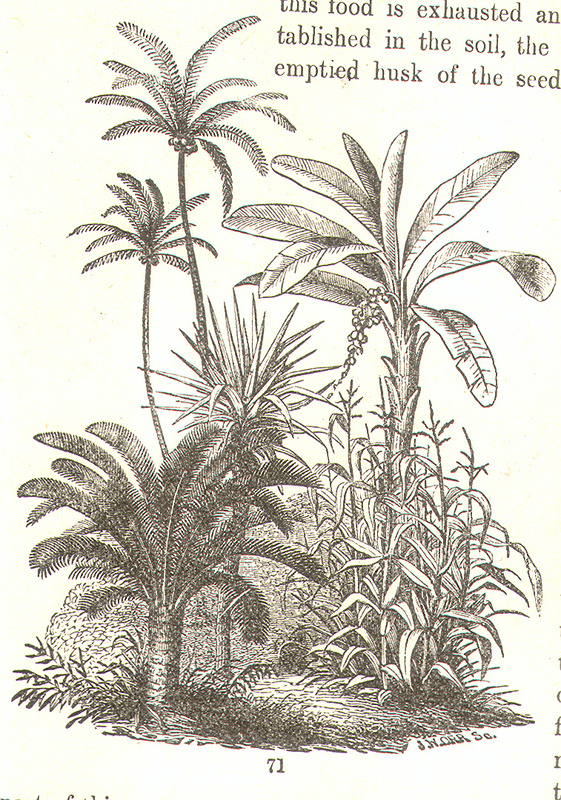 This, when properly carried out, is the Natural System; because it is intended to express, as well as possible, the various degrees of relationship between plants, as presented in nature; that is, to rank those species and those genera, etc., next to each other in the classification which are really most alike in all respects, or, in other words, which are constructed most nearly on the same particular plan. 551. There can be only one natural system of botany if by this term is meant the plan according to which the vegetable creation was called into being, with all its grades and diversities among the species, as well of past as of the present time. But there may be many natural systems, if we mean the attempts of men to interpret and express that plan, --- systems which will vary with advancing knowledge, and with the judgment and skill of individual botanists. These must all be very imperfect, bear the impress of individual minds, and be shaped by the current philosophy of the age. But the endeavor always is to make the classification answer to Nature, as far as any system can which has to be expressed in a definite an serial arrangement (182). 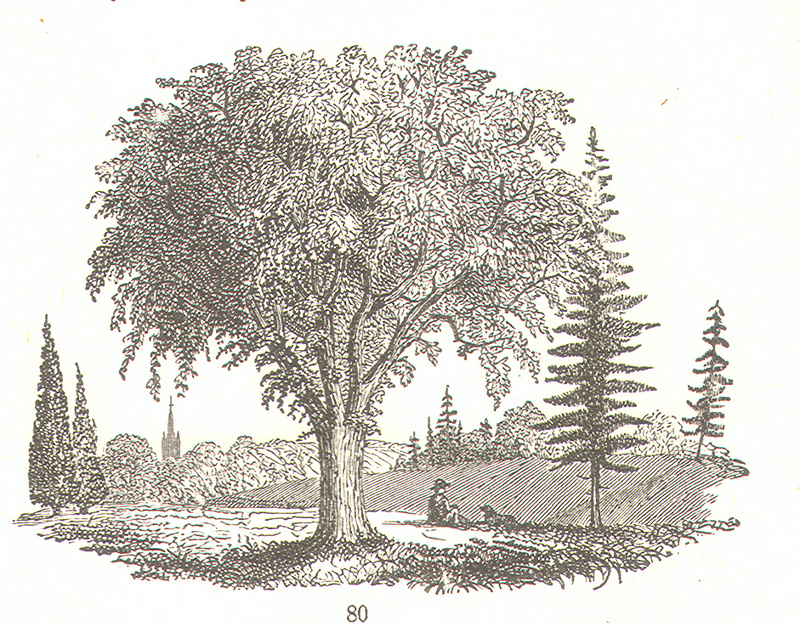 Perhaps Gray's views owe something to the American Elm. Note the church steeple in the background to the left of the tree (right click for a full size view). 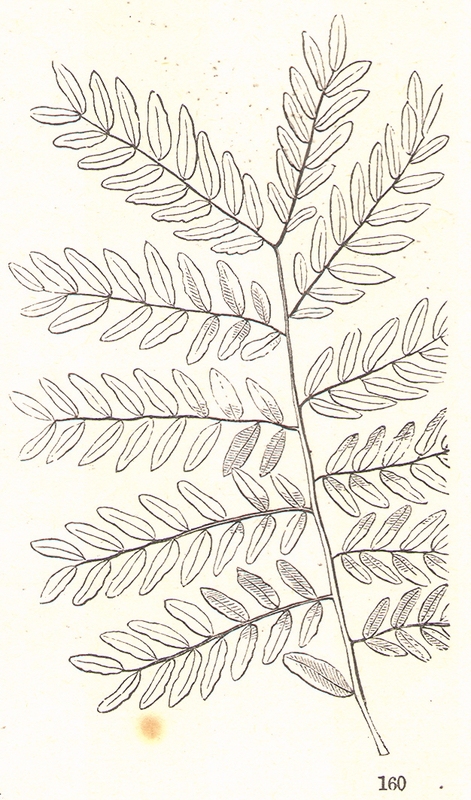 The context of the illustration is: "...wherever axillary buds take the lead, there is, of course, no single main stem, continued year after year in a direct line, but the trunk is soon lost in the branches. Trees so commonly formed have rounded or spreading tops. 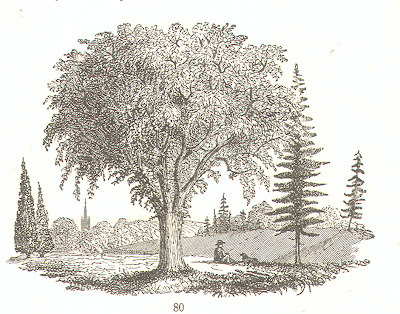 Of tress with deliquescent stems, --- that is, with the trunk dissolved, as it were, into the successively divided branches, --- the common American Elm (Fig. 80) is a good illustration."